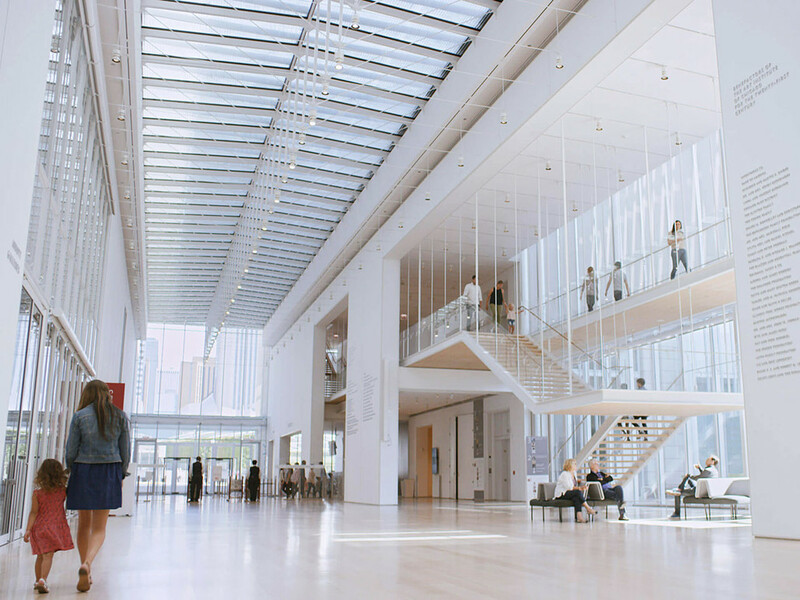 Entrance and foyer to the Modern Wing at the Art Institute of Chicago. Family builds a journey experience, based on their interests. When visitors approach the interactive, an "attract mode" provides them with instructions. 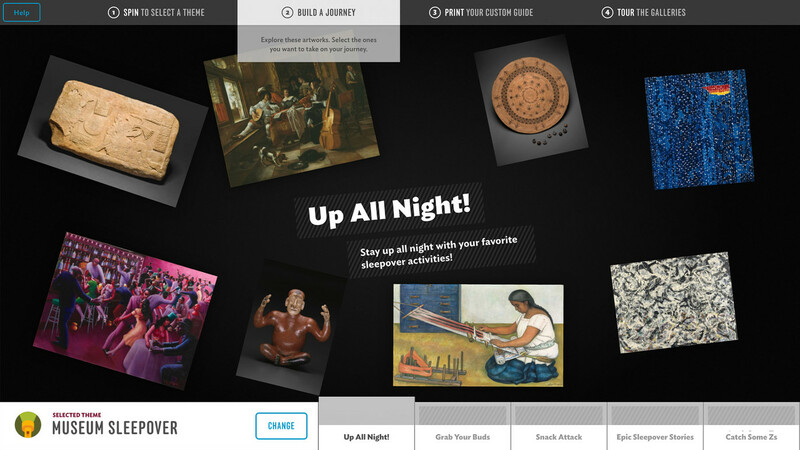 Visitors can spin the 3D toy to select a journey theme—based on what interests them. Spin to select a different theme. 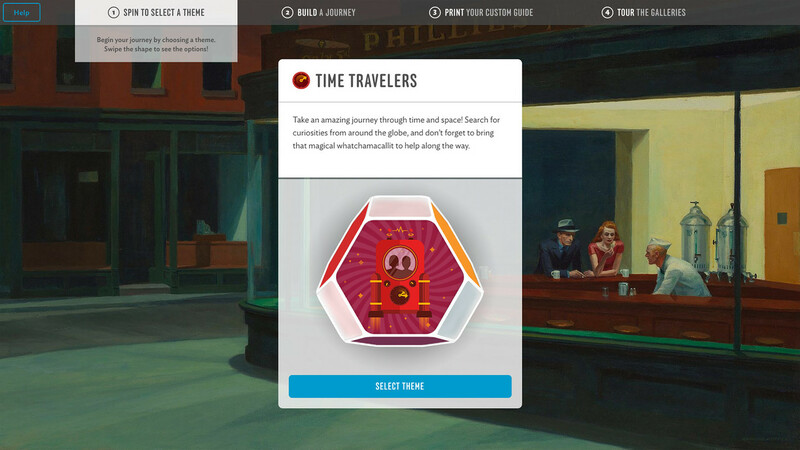 Playful animations bring the interactive experience to life for younger visitors. Building a journey is like writing a story, but you can select from interesting pictures to assemble it. Assembling your own journey is easy and intuitive. 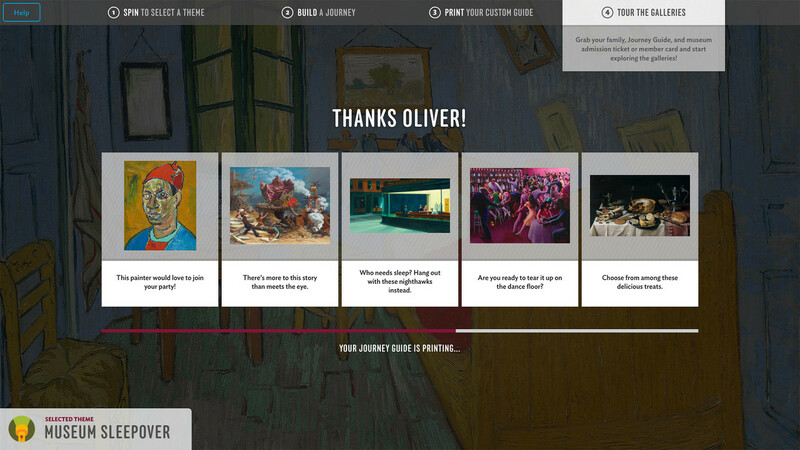 Visitors may personalize their journeys by adding their names. 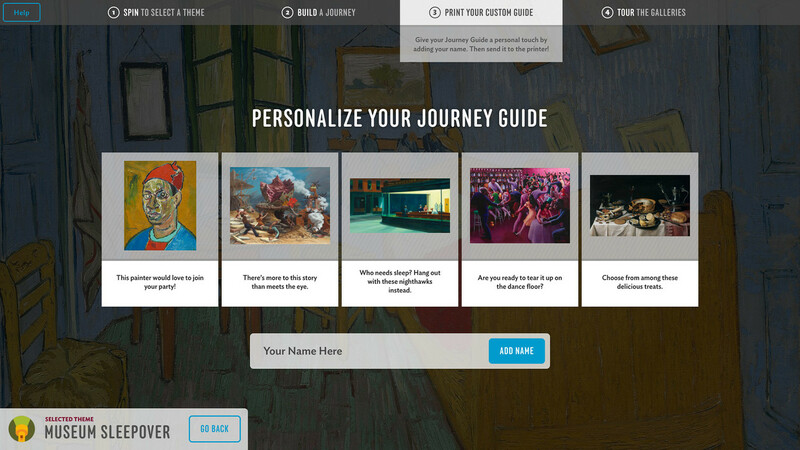 Your personalized journey is presented in a printed journey guide (with the visitor's name on it). 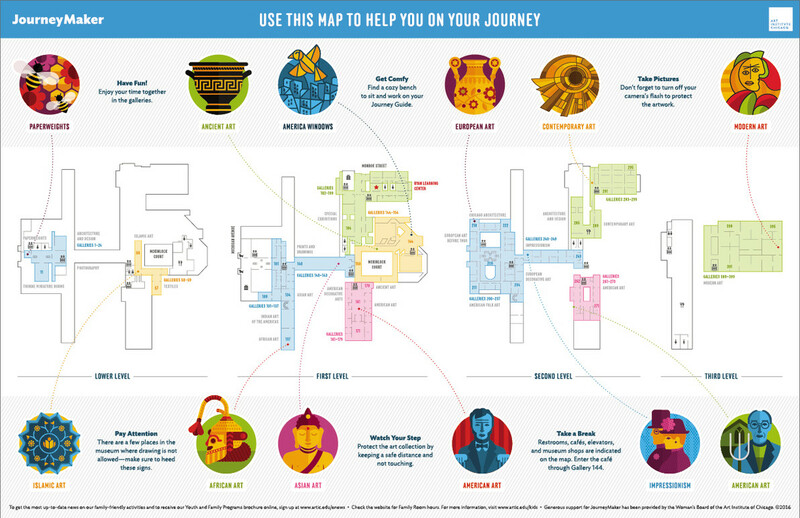 The journey guide includes a special map for your personal adventure through the museum. Activities are provided along the way. 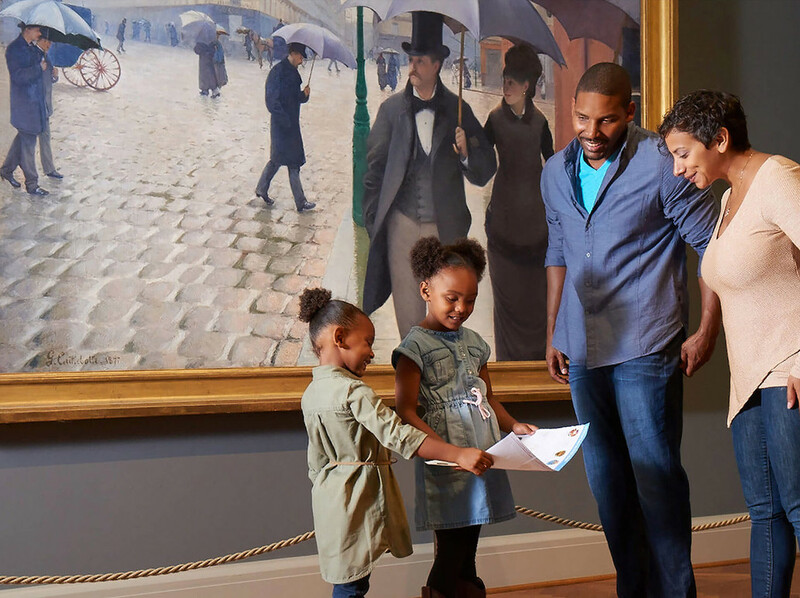 JourneyMaker is a digital-meets-print experience that allows families to create their very own tours of the Art Institute of Chicago, based on the topics that interest them the most. This personalized art adventure begins at the David and Marilyn Fatt Vitale Family Room in the Ryan Learning Center—located in the museum’s Modern Wing. 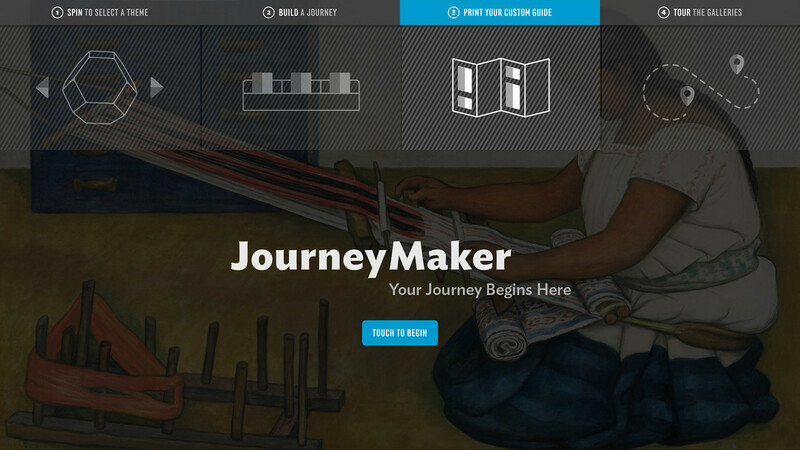 Belle & Wissell designed the complete JourneyMaker experience, in close collaboration with the Art Institute of Chicago’s internal teams. The project’s scope included the David and Marilyn Fatt Vitale Family Room environmental graphics, the touch table interactives (with at-home companion desktop Web version), and the studio also contributed to the design of the new furniture pieces that enclose the interactives. 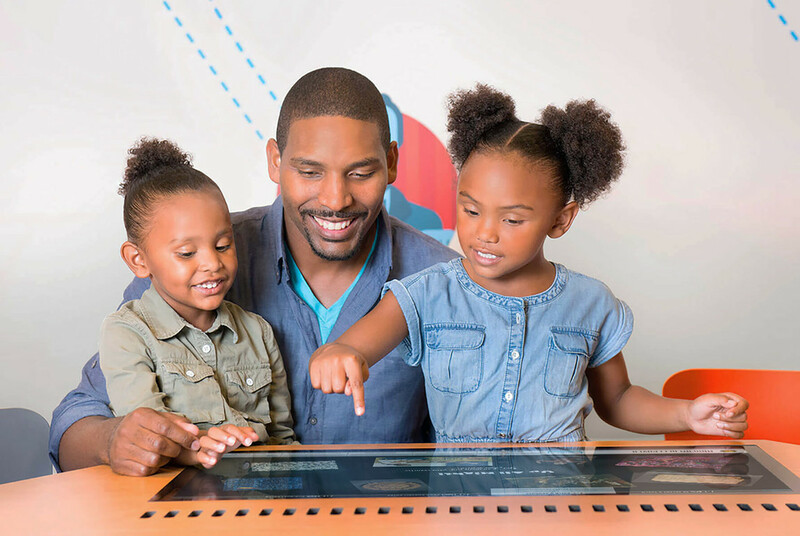 Visitors begin at a JourneyMaker interactive touch table, selecting one of eight storylines—like Superheroes, Time Travelers, or Strange and Wild Creatures (based on what interests them, regardless of their knowledge about art). 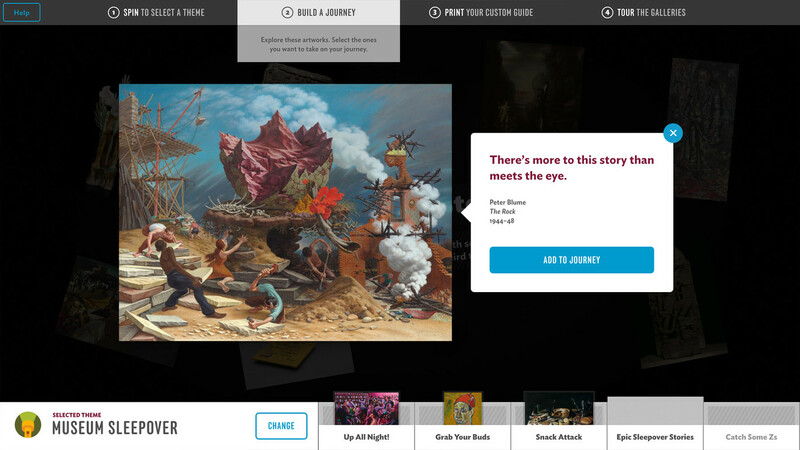 Next, they select works from the museum’s collection to assemble their story journey. 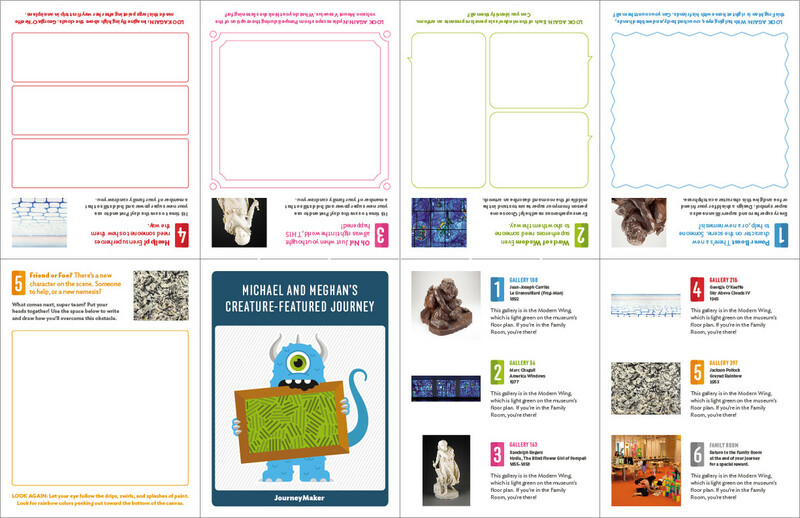 After they’ve made their selections, they can print out their own personalized Journey Guide, which includes information, activities, and wayfinding directions. Then, they head into the museum for an art-filled adventure. 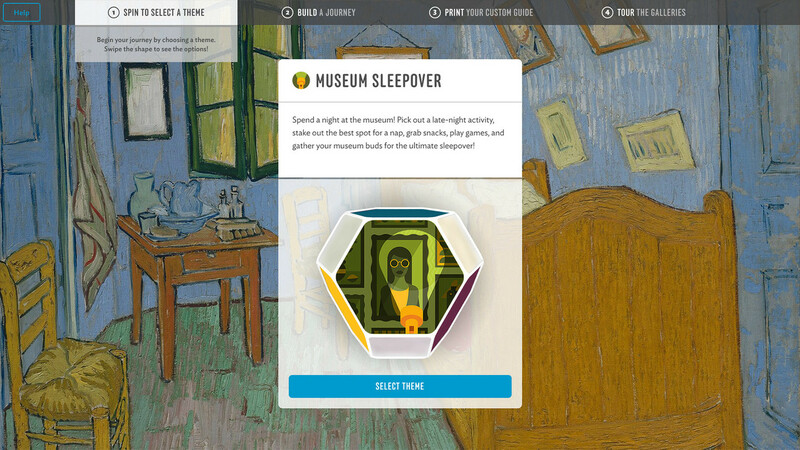 Families can also begin the experience at home, with a desktop Web-version that allows them to shape and print their Journey Guide themselves before their visit.